Html stand for Hypertext Markup Language to write web pages easily. HTML describes the structure of Web pages using markup. HTML elements are represented by tags. Introduction to Html Attributes with examples. In this tutorial, you will learn about Html Attributes. 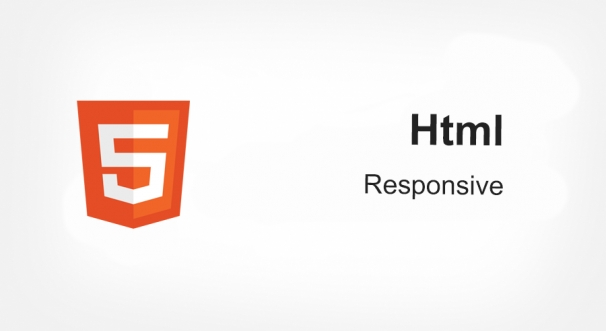 Html Attributes provide additional information about HTML elements. All HTML elements can have attributes. Introduction to HTML Headings with examples. In this tutorial, you will learn about Headings Tag in HTML. Headings are defined with the <h1> to <h6> tags. You must close Heading Tag with </h1> end Tag. Introduction to HTML Paragraphs with example. In this tutorial, you will learn how to write paragraph in HTML web page. The HTML <p> element defines a paragraph. Dont forget the </p> End Tag of paragraph. Introduction to HTML Style Attribute with examples. In this tutorial, you will learn how to change the style of Html elements using style attribute. Style attribute is used in opening of tag. Introduction to HTML Formatting Elements with example. In this tutorial, you will learn about formatting text using special elements like <b> and <i> for formatting output of text, like bold or italic text. Introduction to HTML Quotations with examples. In this tutorial, you will learn how to use Quotation in HTML page. The HTML <q> element is used for short inline and <blockquote> element is used for long. Introduction to HTML Comments with examples. In this tutorial, You will learn how to add Comments in HTML source code. Comments are not displayed by the browser. It only visible in HTML source code. Introduction to HTML CSS with examples. In this tutorial, you will learn how use CSS in HTML page. CSS stands for Cascading Style Sheets. Basically CSS is used for styling HTML web page. Introduction to HTML Link with examples. In this tutorial, you learn about Html Links. In Html web pages Links allow users to go one page to another page on click. In HTML, links are defined with the <a> tag. Introduction to HTML Images with examples. In this tutorial, you will learn how to insert images to Html web page. In Html, you can change your image width, height, border, and more. Introduction to HTML Backgrounds with examples. In this tutorial, you will learn about HTML Backgound. In Html, your web page background colour is white by default. Introduction to HTML Color with examples. In this tutorial, we will learn about HTML Color. In HTML, the color name is used to change the text color or backgound colour of any Html Elements. Introduction to HTML Fonts Properties with examples. In this tutorial, you will learn Font Properties. In Html, you can change the font family, boldness, size, and the style of a text. Introduction to HTML List with example. In this tutorial, you will learn Unordered List start with <ul> tag and Ordered List start with <0l> tag. In HTML, Each item list started with <li> tag. Introduction to HTML Block and Inline Elements. In this tutorial, you will learn about HTML Block and Inline Elements. In HTML, most of elements like <div>, <p>, <li>, <aside>, and more elements is block or inline. Introduction to HTML Class Attribute with examples. Introduction to HTML Id Attribute with examples. Introduction to HTML Iframe with example. In this tutorial, you will learn about Iframe. Iframe stand for Inline frame. Iframe is used to embed another document within the current HTML page. Introduction to HTML File Paths of website folder in Html web page. Introduction to HTML Head Tag with example. In this tutorial, you will learn basic use of HEAD Tag in HTML. The Head Element is a container of Metadata like (title tag, meta tag, link tag, and script tag). Introduction to HTMl Layout with example. In this tutorial, you will learn how to create layout of HTML web page. In HTMl, a layout define the diffrenet parts of a web page like (header, footer, nav). Introduction to HTML Marquee with examples. In this tutorial, you will learn how to create Marquee in HTML web page. In HTML, Marquee tag is used to scroll image or text horizontally or vertically. Introduction to HTML responsive web page with example. In this tutorial, you are going to learn how to create HTML Responsive page. Responsive web page means your web page resize and fit to screen. Introduction to HTML Form Element to create a form in HTML web page. In this tutorial, you will learn how create Form using <form> element in HTML web page that is used to collect user input data. Introduction to HTML Form Elements with examples. In this tutorial, you are going to learn HTML Form elements that are used for design basic HTML Form. Here most used elements are Input, Select, TextArea and Button. Introduction to HTML Input Types with examples. In this tutorial, you will learn the different input types for the input element used in HTML page. In HTML input type can be Text, Password, Submit, Radio button. Introduction to HTML input attributes with examples. In this tutorial, you will learn how to set attributes in HTML input field. There are many input attributes available in HTML input Field. Introduction to HTML Canvas to draw graphics with example. In this tutorial, you will learn how to draw graphics using canvas element. Canvas tag has several methods for drawing paths, boxes, circles, text, adding images.